We haven't spoken at length about Destiny in some time. It's been difficult to wrangle a piece together since the experience has been so very up and down. I expected a great deal from the game at launch and was initially very pleased with what I received. When the story ended and the grind began, my enthusiasm turned bitter. I still managed to have some fun despite doing the same thing week after week, slowly working towards a higher level but the illusion of depth was gone. I worked hard and earned a great deal of equipment (including a large number of exotic weapons and armor) and reputation. 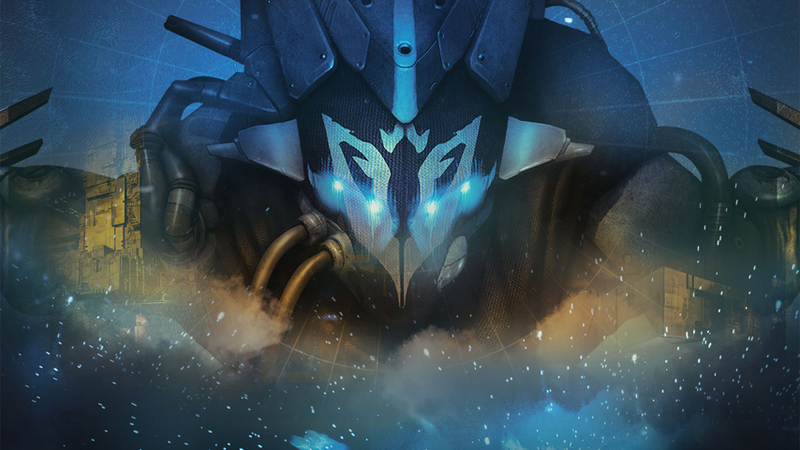 I was hesitantly proud of what I had accomplished up until the launch of Destiny's first expansion The Dark Below. The system introduced there to expand the level cap and up the damage of weapons in the game felt like a slap in the face to many players like myself. I put the game down for a while. In fact, it wasn't until a co-worker purchased the DLC for me and begged me to play that I even logged in for any length of time. What I found in The Dark Below didn't thrill me. The story was uninteresting at best, amounting to a handful of kill quests and a raid that was more about survival than coordinated teamwork. The addition of new materials and a needlessly convoluted upgrade system that invalidated any progress made with exotic weapons was just further confirmation of the choice I had made before. Cut to the 19th. I picked up The House of Wolves after cringing through the Twitch streams from Bungie and reading up on many of the changes and fixes to the overall game. More than anything though, I felt that the Reef and the Fallen offered more interesting story possibilities than the Hive could. Having played through the story missions, I can report that the story was far more interesting than the last, using existing parts of the game in interesting ways and breathing new life into many old activities. I'm a sucker for the Awoken and the Reef in general. Though good in execution and narration, the story is still very very short, something I've been upset with since the initial campaign petered out. It leaves far more story holes and questions that it answers, something Bungie is normally good about avoiding. Even with the tidbits teased from the grimoire, we still have little idea how Skolas (the principle villain) got to where he is in the DLC. 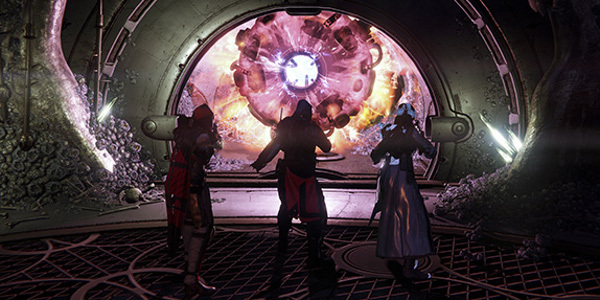 I really like the Prison of Elders. It plays a bit like the old firefight mode in Halo: ODST and Reach. The varied enemies among the five rounds and the strategic elements to the boss fights are sorely missed elsewhere. Taking time between rounds to coordinate abilities and builds is great for solidifying a team, expanding the social element Bungie keeps promising is a large part of Destiny. 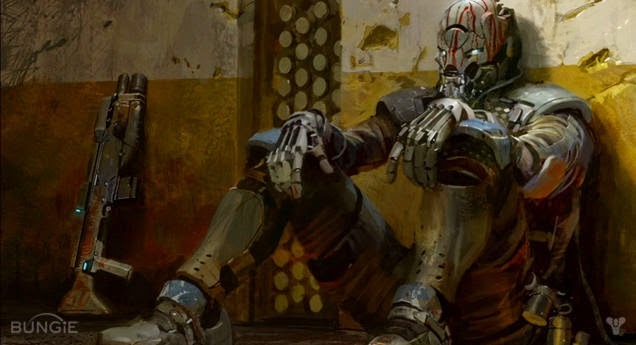 Unfortunately, my biggest issues with the state of the game come from the Prison of Elders. the three higher level arenas are frustratingly difficult, especially if you have trouble getting a full fireteam together. Atop that, the gear situation is still a bit screwy. Upgrades are much simpler now, don't get me wrong, but there is a serious imbalance in the availability of Etheric Light, the legendary upgrade material. At the moment, the only guaranteed way to get Etheric Light is from the level 34 "PoE" event which is absurdly difficult to complete. Though it ought to drop elsewhere, I've yet to find the elusive material anywhere else. Assuming you do complete the Prison level and make it to the treasure room, there is still the issue of acquiring the fabled "Treasure Keys" which have the worst drop rate I've ever seen in the games since. I know some to try and farm the keys from chests in Skywatch, but I've seen people put in five hours just for one. These things very seldom drop in combat and aren't even guaranteed to drop from the PoE's final round boss fights, even at higher levels. It's difficult to justify the amount of time needed to complete those runs. A fairly accurate representation of most players in Skywatch right now.